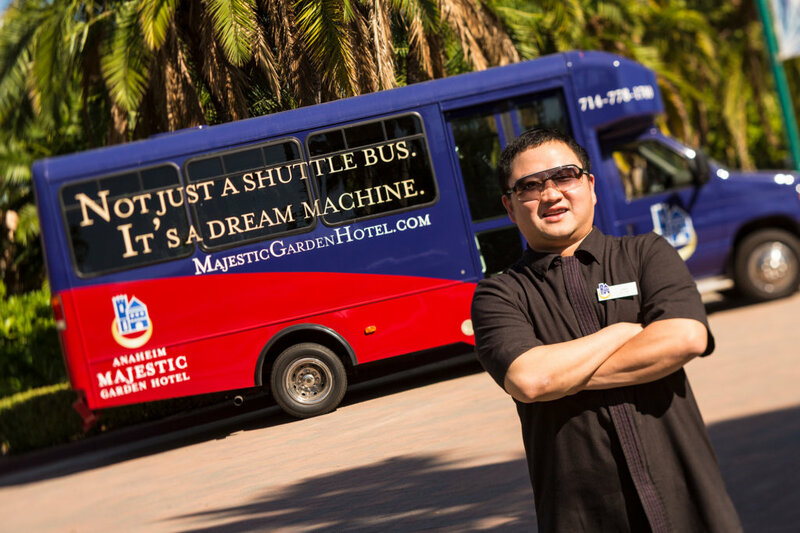 Anaheim Majestic Garden Hotel is proud to offer complimentary transportation to and from Disneyland® Resort via our Dream Machine Shuttle. Our first shuttle departs from the Anaheim Majestic Garden Hotel entrance 30 minutes prior to the scheduled opening of Disneyland® Resort. Our shuttle will depart from the hotel entrance every 30 minutes on the half-hour and hour and operates during Disneyland® Resort hours only. Our shuttle will depart from Disneyland® Resort every 15 and 45 minutes after the hour during Disneyland® Resort hours only. Our shuttle will continue to operate one hour and 15 minutes past the scheduled closing time of Disneyland® Resort. On Tuesdays, Thursdays, and Saturdays, Disneyland® Resort offers early admission into the theme park one hour before the park opens its gate to the general public. If you have special early admission tickets, we do provide hotel shuttle service to the park, 30 minutes prior to Disneyland® Resort’s early admission time. Our shuttle leaves only one time for this special event, so please be on time in order to secure your seat on our hotel shuttle to Disneyland® Resort. 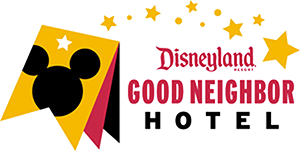 While Anaheim Majestic Garden Hotel’s Dream Machine Shuttle always tries to do its very best to adhere to the scheduled time, it is not always possible. When attendance is at its peak, long lines are anticipated coming in and out of Disneyland® Resort. To avoid large crowds waiting to leave the park, it is recommended to leave at least one hour prior to the scheduled closing time.